Explore the spectacular outdoors within the great city of Milwaukee. When I travel, I like to spend as much time outdoors as possible. It’s not to say that I don’t enjoy indoor attractions and activities. But, especially when the weather is warm, get outside to enjoy those beautiful, natural spaces in a city. As it turns out, Milwaukee is full of such places. Sometimes, it’s even easy to forget that you’re spending time in a big city. Other times, you’re soaking up the vibrant history and architecture of the metropolis. 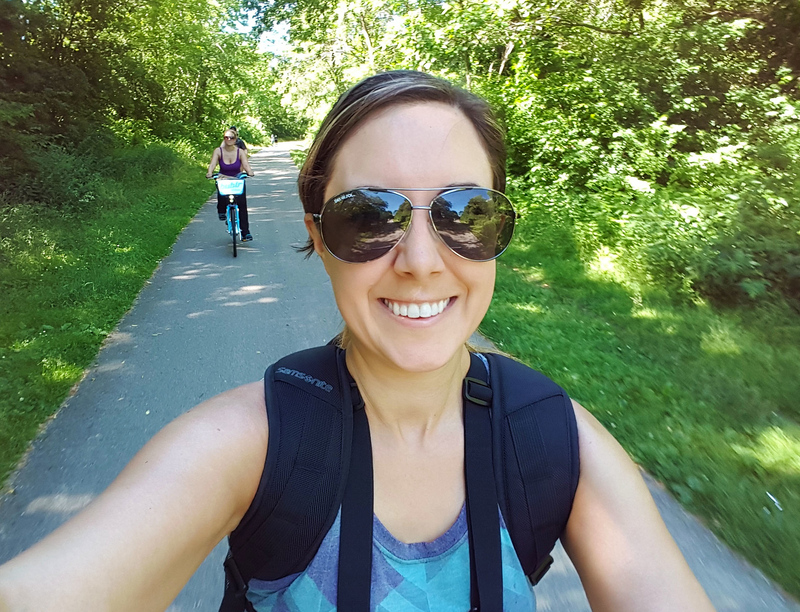 If you’re looking for the best outdoor activities in Milwaukee, I’ve got you covered. 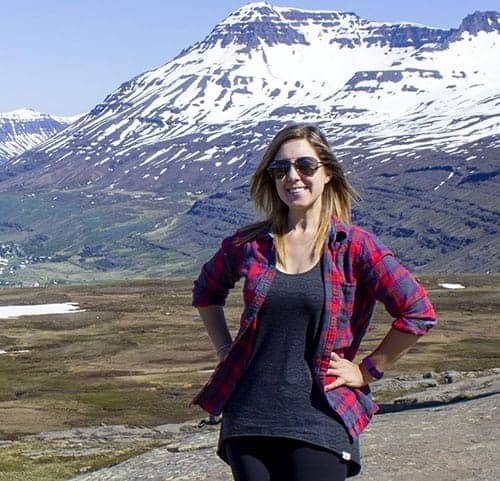 Here’s are a few of my favorite adventures to get you started. Traveling to Milwaukee and you don’t have your bike with you? You don’t even own a bike? No problem! You can quickly and easily rent a bicycle with Bublr Bikes. Bublr Bikes is a bike sharing program in Milwaukee. There are bicycles and bike stations all over the city. You simply pay for a single ride or buy a bike pass. Hop on the bike and away you go! 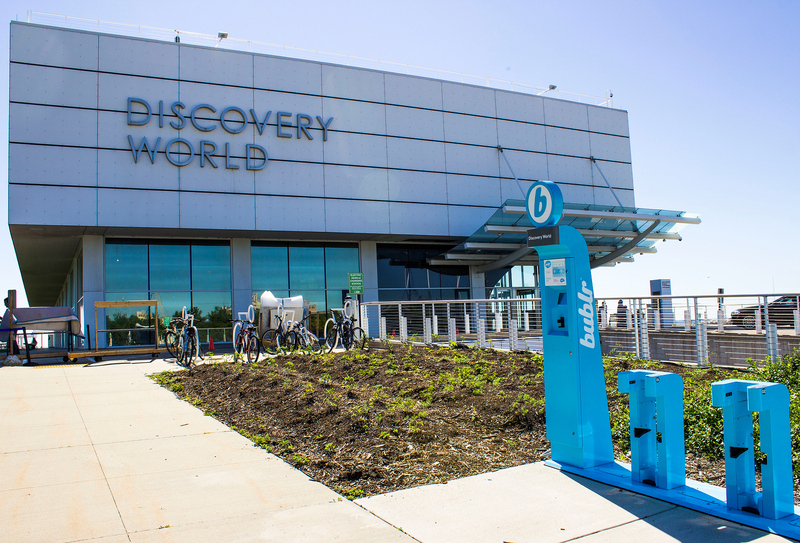 When I visited Milwaukee, we borrowed bikes by the waterfront at Discovery World. We cycled along Lake Michigan and through the city. 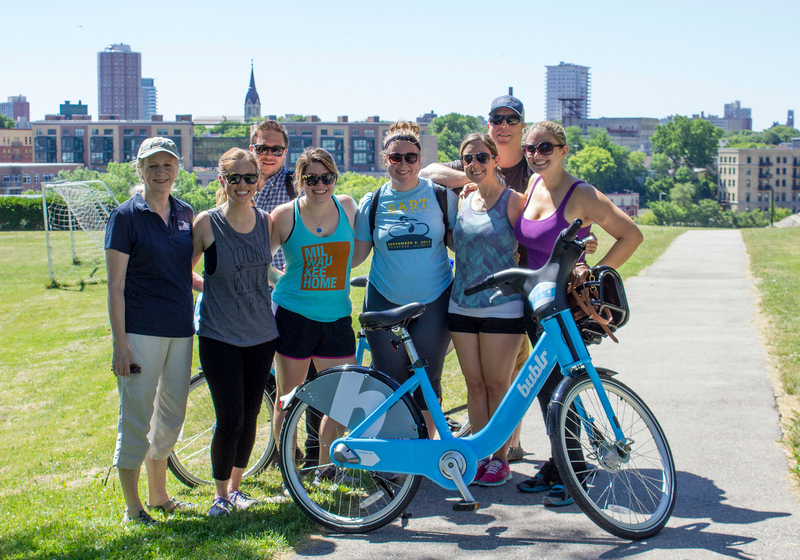 With Bublr Bikes, we rode across bridges, past historic buildings, and caught glimpses of the city skyline from nearby parks. Riding a bike around Milwaukee was a great way to see the city. 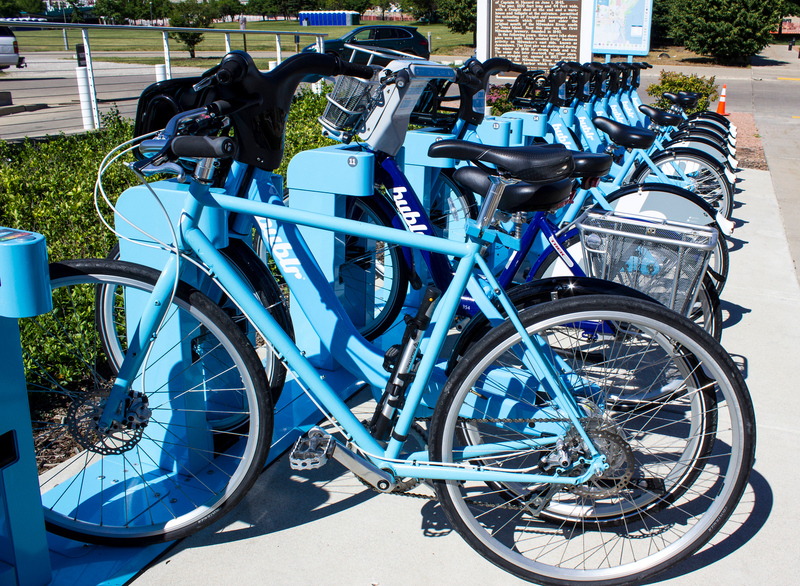 Whether you’re a tourist looking to explore Milwaukee, or you live in the city and need a way to get around, Bublr Bikes provides a fantastic service for all. I adore kayaking. If there’s a chance to go kayaking in a place, I’ll always say yes. 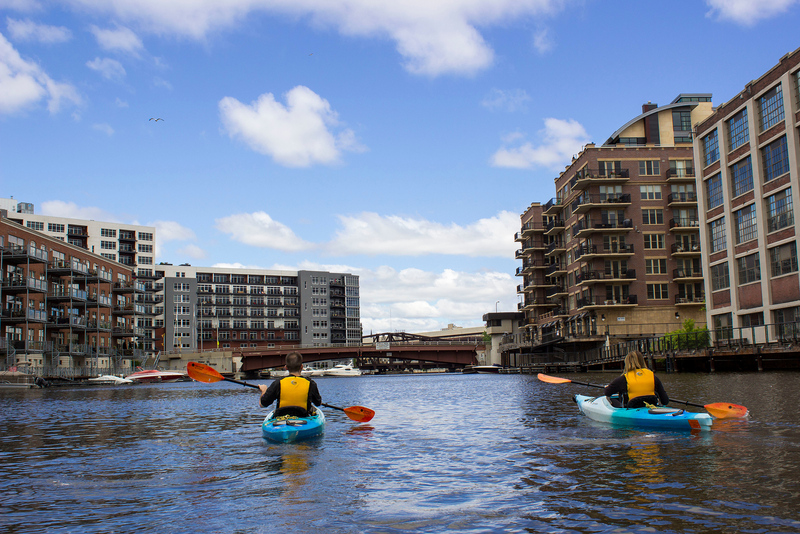 So, it should come as no surprise that I would list kayaking as one of the best outdoor activities in Milwaukee. 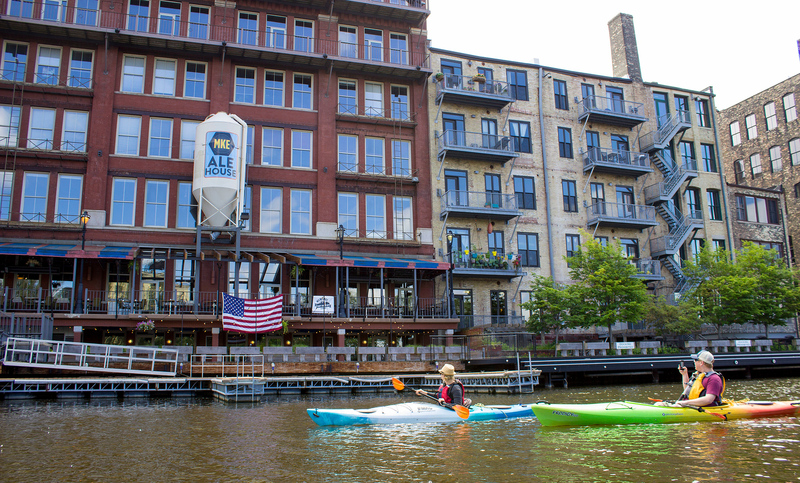 Be sure to paddle down the Milwaukee River with Milwaukee Kayak Company. Urban kayaking was an entirely new experience. I’ve never kayaked in a densely populated area before. It was a really cool and unique way to view the city. 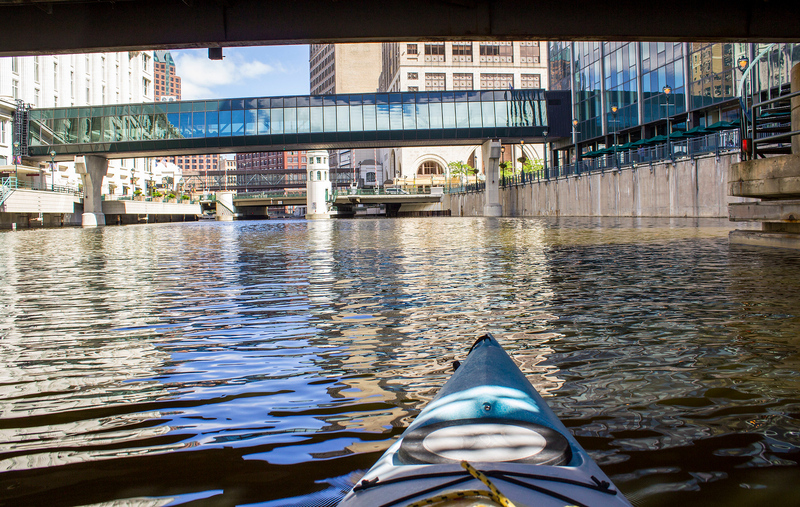 We rowed up the Milwaukee River, paddling parallel to the city’s Riverwalk. We drifted past interesting architecture beneath bridges, beside a variety of small boats. I enjoyed discovering the city’s landmarks from the middle of the river itself. 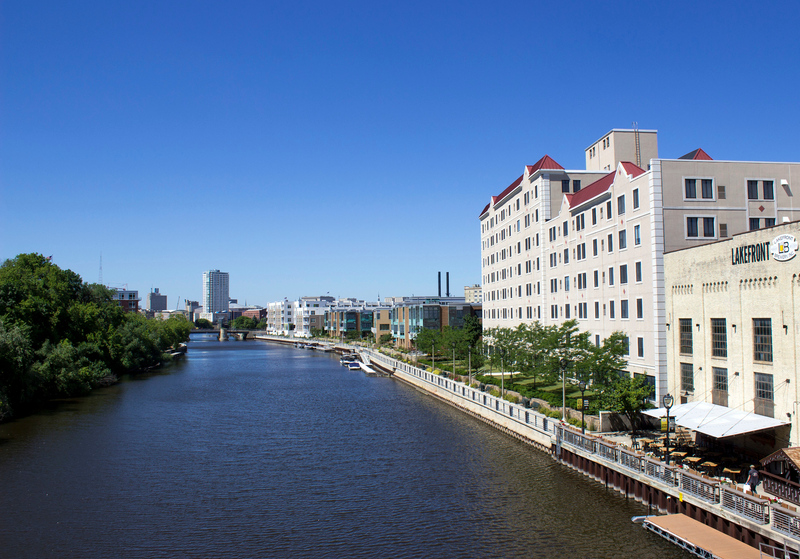 The Milwaukee River connects to the Menomonee River and the Kinnickinnic River, providing multiple routes. You could take a new path each time you go kayaking, exploring new areas of the city every time. 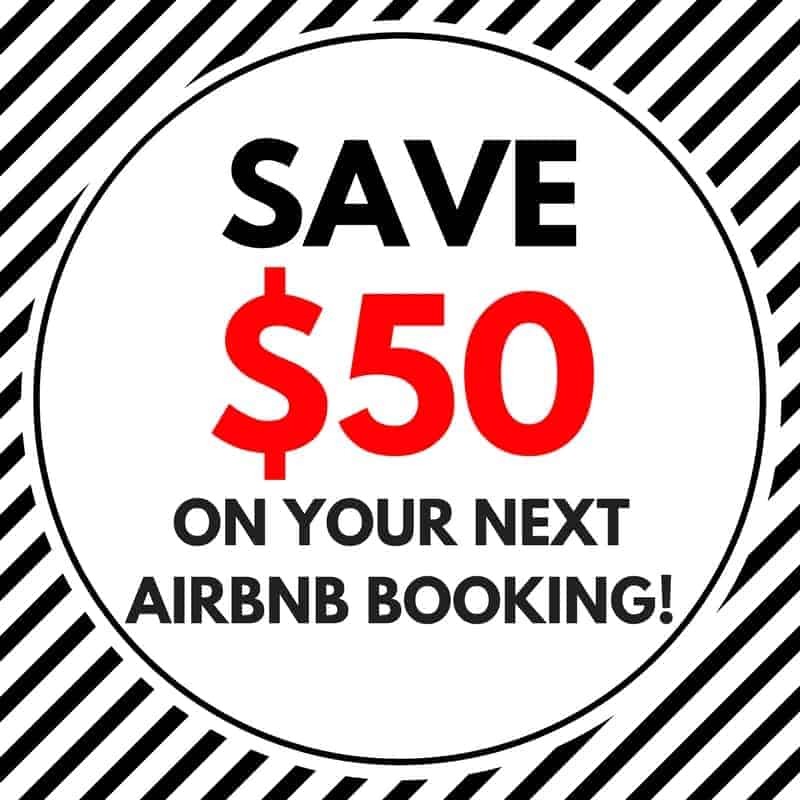 You can rent kayaks, tandem kayaks, canoes, and stand-up paddle boards, too. 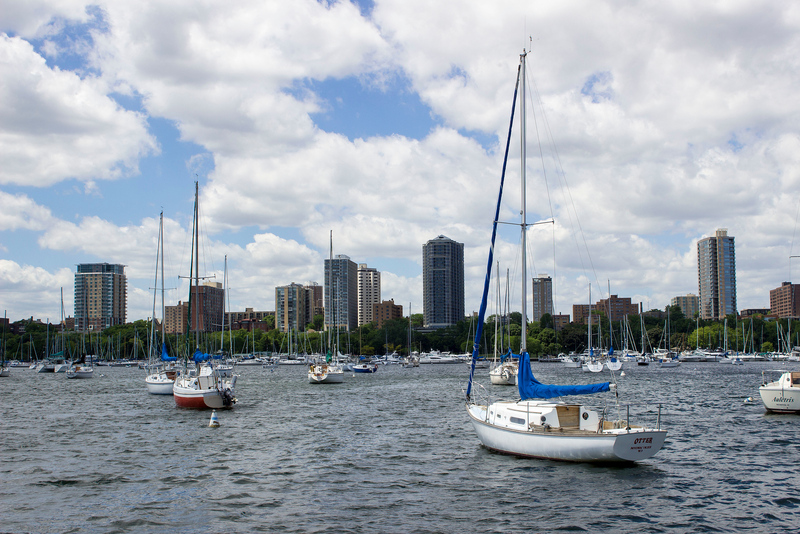 Sticking with the water theme, another one of the best outdoor activities in Milwaukee is sailing around Lake Michigan. 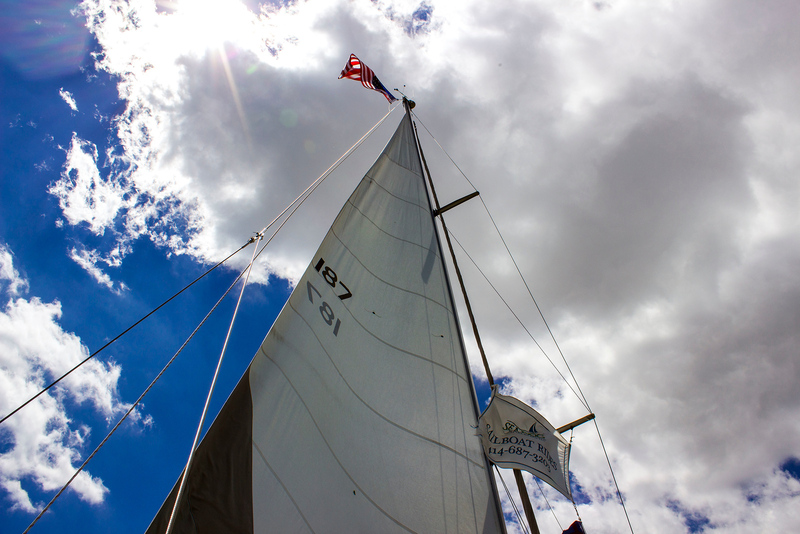 I spent an incredible afternoon with Sea Dog Sailing, with the breeze in my hair and the sun shining brightly. It really was the perfect way to spend a summer day, catching glimpses of the Milwaukee skyline and the deep blue waves. 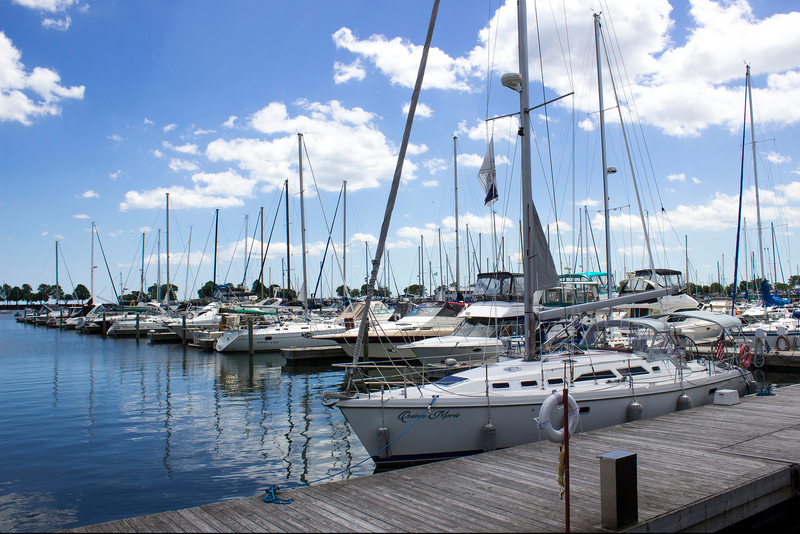 Let Captain Bob take you on a cruise around Lake Michigan aboard the Quinn Marie, a 38-foot yacht. How you spend your day at sea is completely up to you! Catch the fireworks, celebrate a special occasion, have a party, sail by the moonlight, or watch the sunset out on the water. We sailed around the harbor and beyond, admiring the skyline, bridges, the Milwaukee Art Museum, and more. 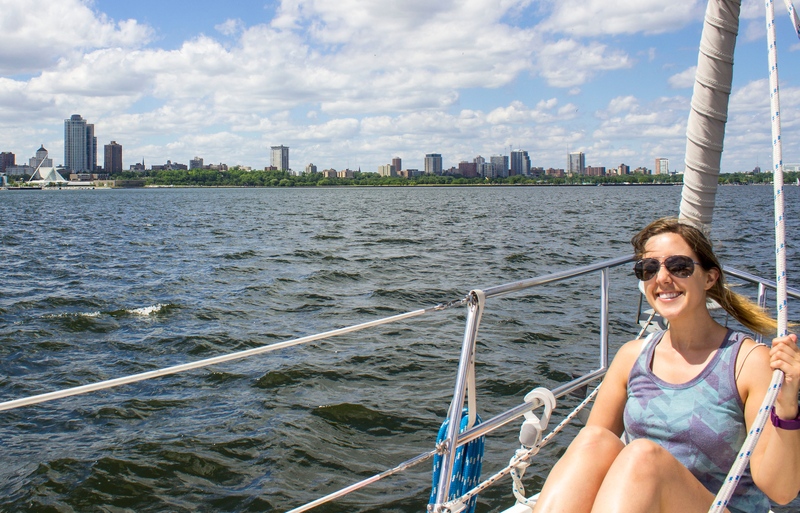 It was easy to feel completely relaxed out on the water, on such a brilliant summer day. Hiking…in Milwaukee? At the Schlitz Audubon Nature Center, become connected with nature through protected habitats. 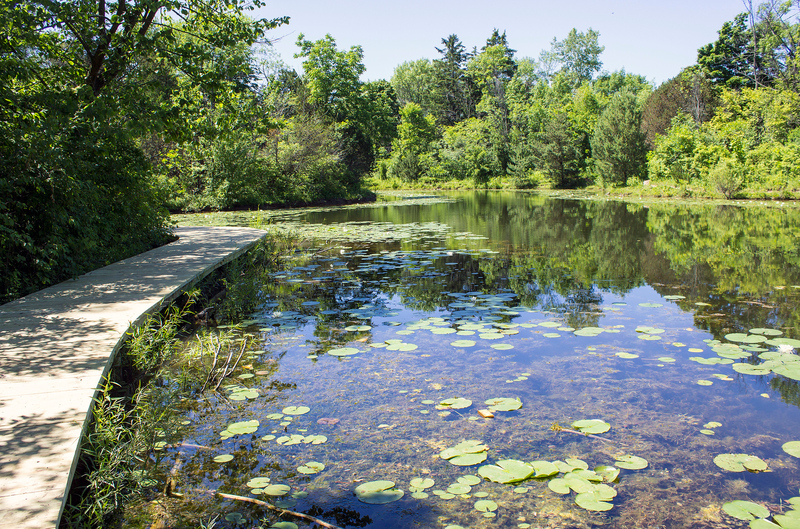 There are six miles of trails winding through 185 acres of forests, wetlands, prairies, and bluffs. It’s a great places for kids to learn about wildlife, for people of all ages to hike through the forest, and there are even wheelchair accessible trails and boardwalks. 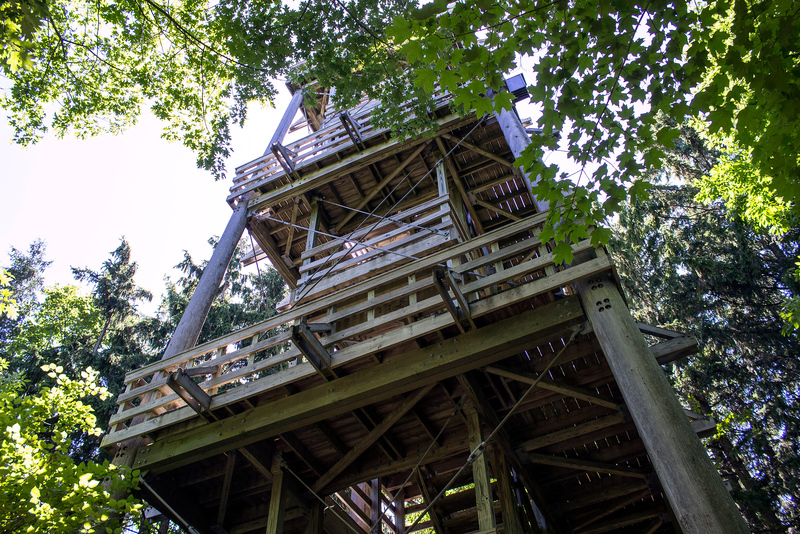 There’s an observation tower in the forest, and the view is worth the trek to the top. 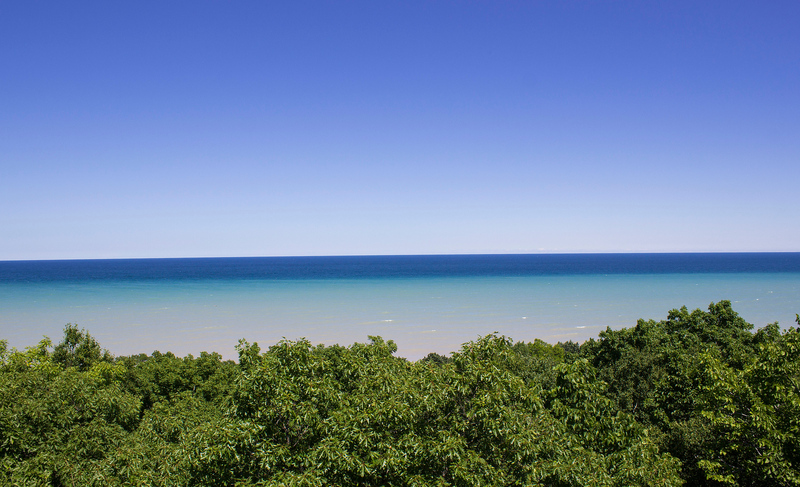 Who knew that Lake Michigan could look so tropical, turquoise, and absolutely stunning? Hiking through the forest is very peaceful and serene. 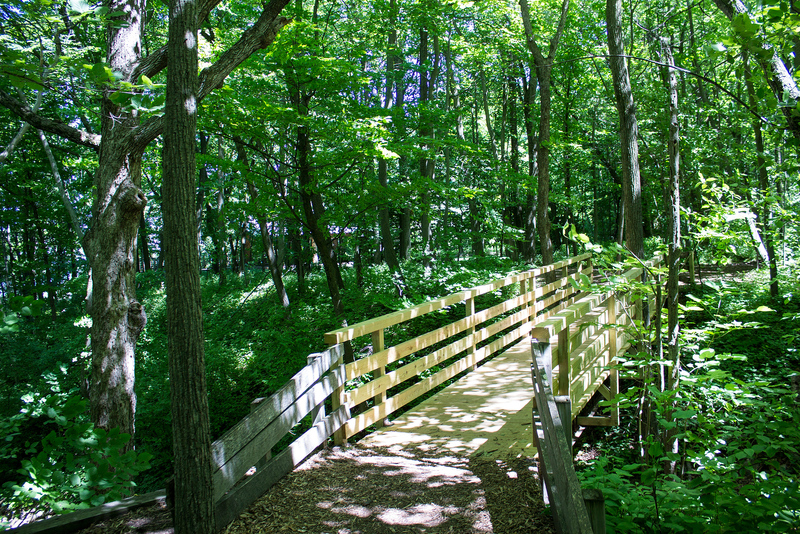 It’s very close to downtown Milwaukee, making this the perfect escape from hectic city life. Be sure to visit the boardwalk around Mystery Lake for some gorgeous scenery. One of the best outdoor activities in Milwaukee is spending a day at the beach. Yes, Milwaukee has a sandy beach! Though I didn’t get to spend much time here, I think it’s awesome that you don’t have to drive for hours on end to play in the sand or go for a swim. 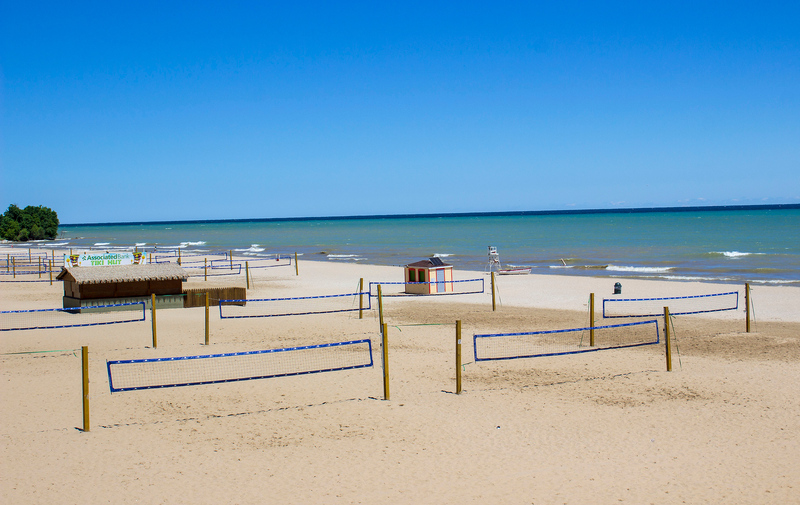 Bradford Beach is also home to dozens of beach volleyball courts, perfect for joining a league or playing just for fun. During certain hours, there are lifeguards on duty, and here are two concession buildings to grab a snack. I’ve never seen anything quite like this before. 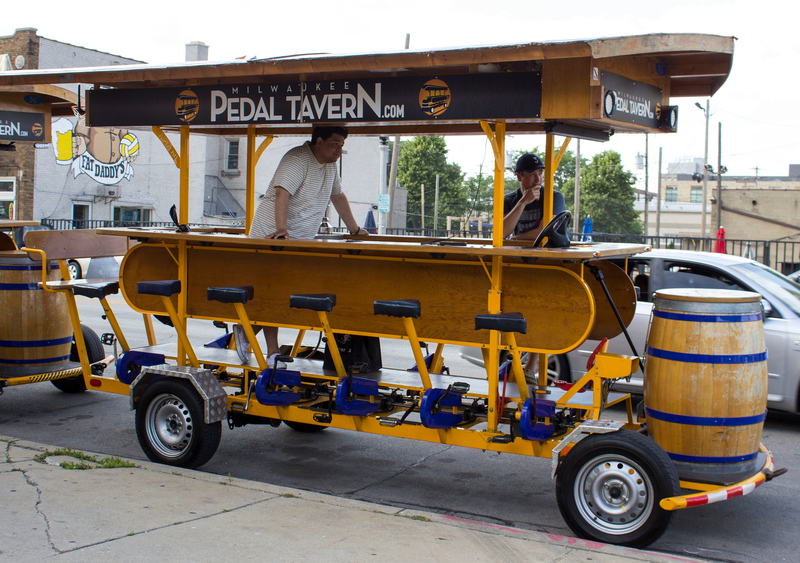 It’s called the Pedal Tavern, and it’s a bar on wheels. After all, Milwaukee is known for its breweries. It’s a great idea to enjoy a few pints while you’re in town! It’s the most unique way I’ve ever gone bar hopping before. And after all the biking, hiking, and kayaking you’re going to do in Milwaukee, why not treat yourself to some refreshments? Of course, you’re going to have to work for it a little bit! 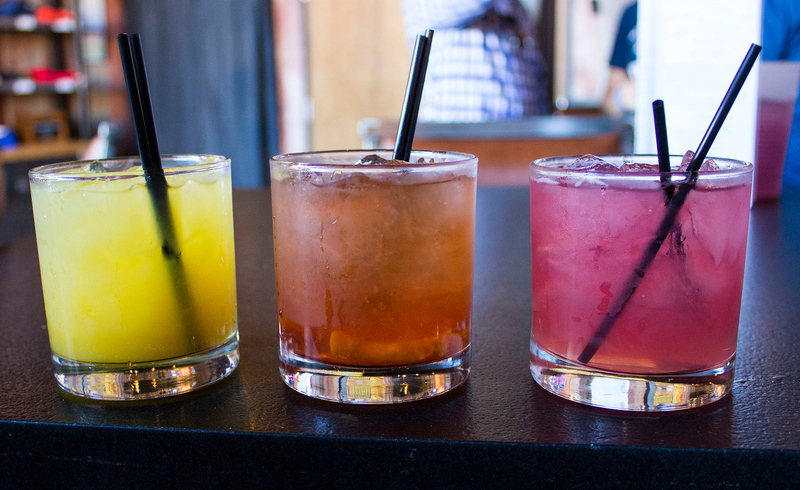 Here’s how it works: you and your friends sit at the Pedal Tavern. When it’s time to move forward, you all pedal together to ride down the street. 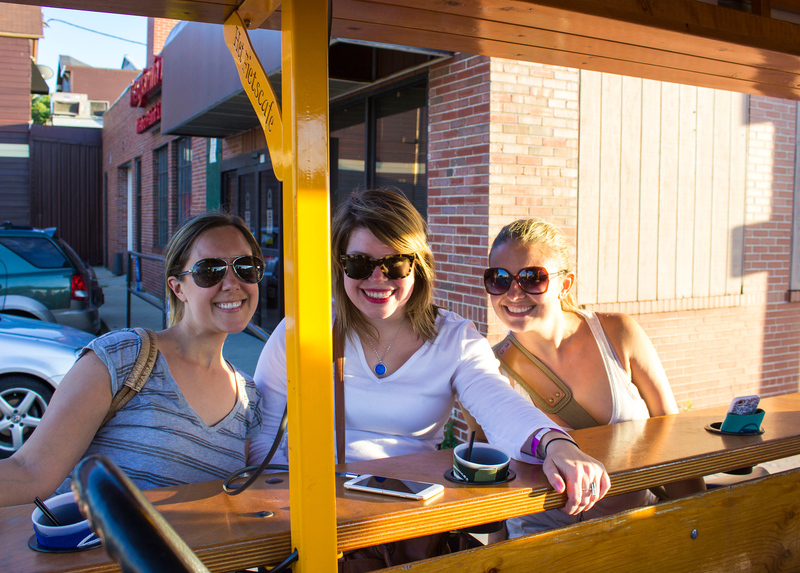 You can enjoy a beer on board the Pedal Tavern, too. 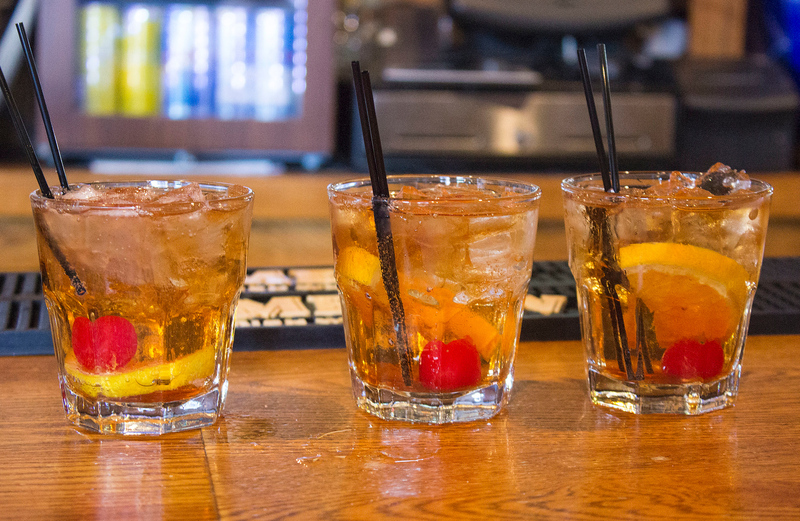 We traveled to a few iconic bars in the city, making sure to sample the beer and cocktail of choice, the Wisconsin-style brandy Old Fashioned. If you’re traveling to Milwaukee during Summerfest, you’re in luck. It’s the largest music festival in the world, spanning eleven days. 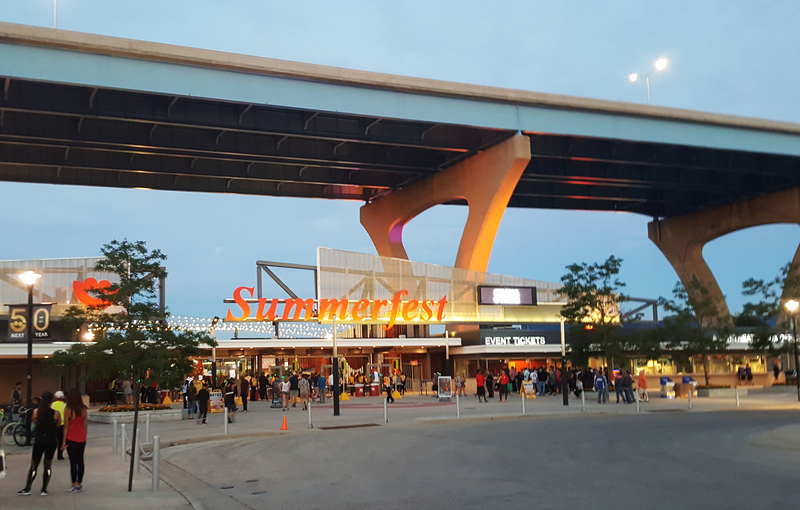 With multiple stages, numerous musical performances from popular artists across all genres, and various types of food to sample, Summerfest is the biggest and best event to attend in Milwaukee. To top it all off, there’s a dazzling display of fireworks every night over Lake Michigan. In 2016, there were performances by Selena Gomez, Paul McCartney, Weezer, Sting & Peter Gabriel, and Weird Al, to name a few. Whether you’re cycling along the waterfront, pedaling on a tavern on wheels, or spending time in nature on land or water, Milwaukee is a fascinating destination to explore. 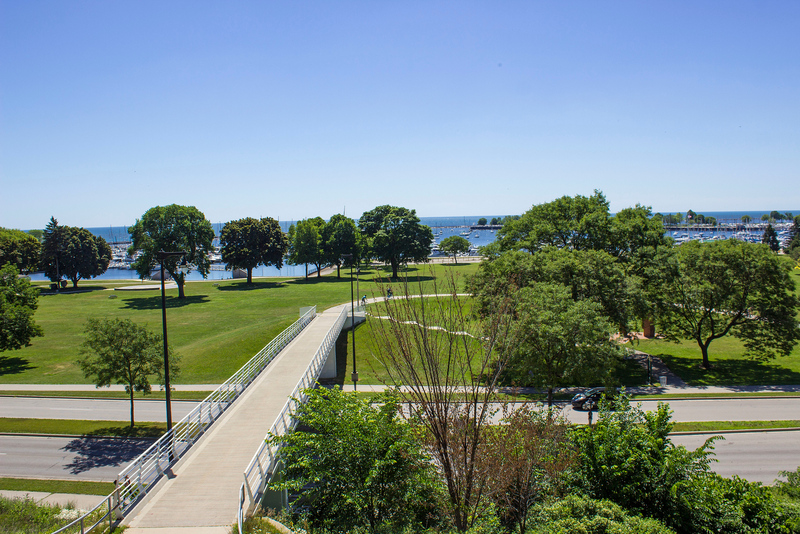 The best outdoor activities in Milwaukee provide a great workout and new ways to see this vibrant city. 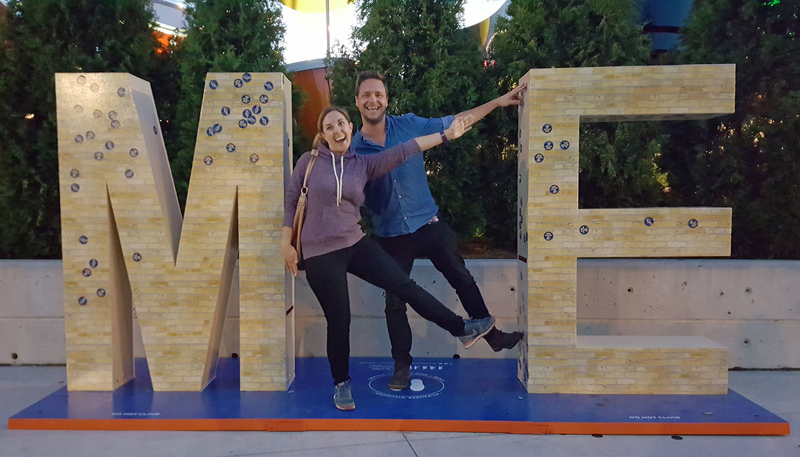 If you’re looking for more things to do in Milwaukee, check out this great list of 18 amazing activities. Thank you so much to Visit Milwaukee for inviting me to spend a few days exploring your amazing city! I can’t wait to return someday. 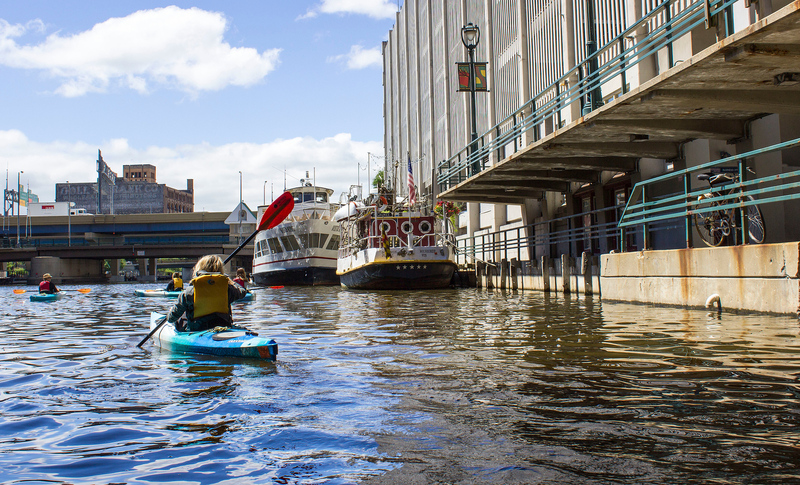 Which of these outdoor activities would you most like to try in Milwaukee? Excellent tips, Thanks to provide the best backpacking off the beaten track. Besides any other outdoor activities, kayaking is my favorite things to do. I loves kayaking a lot. I stayed at the Ramada Downtown about 5 years ago. It was great to be there! 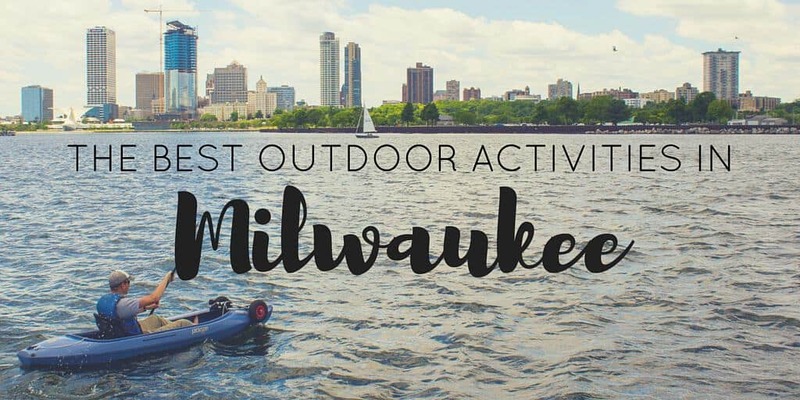 This is a great round up of Milwaukee outdoor activities. I am so glad to see the Schlitz Audubon highlighted. It is often overlooked and it is one of my favorite spots. 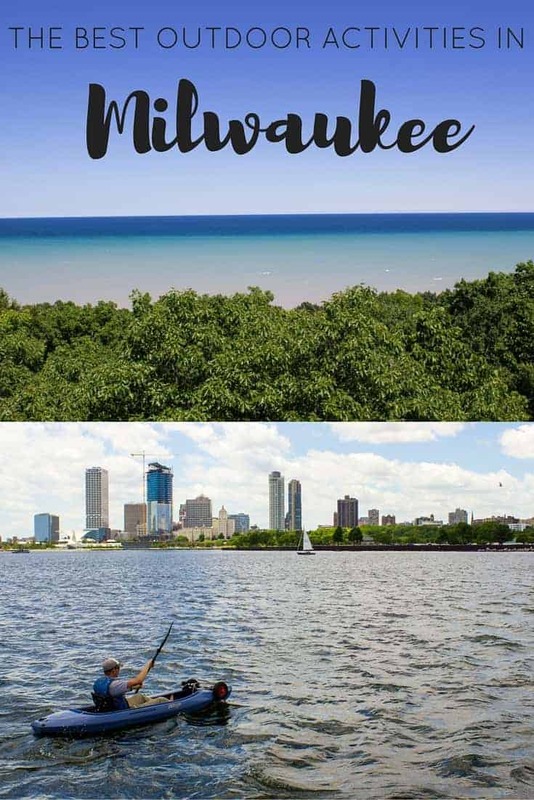 Thoroughly enjoyed this post, I know so little about Milwaukee but it definitely looks like somewhere I’d love to visit somewhere. The beach especially caught my attention, it looks like the perfect spot to park up on a summer’s day. Thanks for sharing!